Elements from the Pikmin series have appeared in several other Nintendo games. The Super Smash Bros. series in particular is well-known for having references and content of multitudes of Nintendo series and, more recently, those of other companies. Regardless, Pikmin content has made its way into other games and forms of media, be it with content directly taken from the franchise, or references. In Animal Crossing: Wild World, there is an item called "Pikmin". When touched, it says the word "Pikmin", sounding similar to the sound that plays at the start of either Pikmin game. There is also a character named Gulliver, whose story shares similarities with the plot of Pikmin. The player can hit him with a slingshot and make him crash, after which his ship parts need collecting. His ship is named the "Porpoise 5000", which is clearly a reference to the S.S. Dolphin. The S.S. Dolphin in City Folk. In Animal Crossing: City Folk, Gulliver and the same items reappear, as well as a DLC-exclusive Red Pikmin hat, to commemorate the release of New Play Control! Pikmin, and a to-scale model of the S.S. Dolphin, to celebrate the 40th year anniversary of the Apollo 11's successful landing on the moon. In Animal Crossing: New Leaf, the S.S. Dolphin, Pikmin and Red Pikmin Hat items reappear, and two new items are added: the Blue Pikmin hat and the Yellow Pikmin hat. All of these items are received through fortune cookies. In Mario Golf: Toadstool Tour, if the player hits the ball into a flower bed, the three Pikmin types from the first game will fly out. The Red Pikmin, Yellow Pikmin, and Blue Pikmin, as well as a Red Bulborb cameo as collectible badges in Donkey Konga 2. Each character's appearance on the badge is a headshot of their clay artwork from Pikmin 2. The player can obtain one of these badges by winning a mini-game, then playing a Concentration-based mini-game, "Match That Badge!" If the player flips over two identical panels of a character, including the Pikmin or Bulborb, they earn a badge of that character. If the player reaches a high score in a mini-game, they can apply a badge to their new score. In Mario Kart 8 and Mario Kart 8 Deluxe, the Olimar amiibo or the Pikmin amiibo will unlock an Olimar-styled suit for the Mii character, with the body of the costume resembling Olimar's spacesuit, and the helmet being designed to look like a space helmet. On the back of the helmet is a Red Pikmin hanging on. In Mario Kart Wii, the stage Moonview Highway has a poster for a made-up musical called "The Mushroom Moon". The font used for this title is the exact same font used in Pikmin for the area names. In Super Mario Maker, players can spawn and collect a Mystery Mushroom on Super Mario Bros.-themed levels, that transforms Mario into a different character. Two of the costumes are from the Pikmin series: Captain Olimar and a trio consisting of the three main Pikmin. In the latter, the three Pikmin are next to each other, in the order yellow (flower), blue (bud), red (leaf), when facing the right. Captain Olimar's costume is available by scanning an Olimar amiibo, or by getting it randomly, while the Pikmin costume is purely random. Each character costume also has sounds and sprites that reference the original series. The following table lists the references for the two Pikmin costumes. Both costumes use the standard Super Mario Bros. Starman theme. Olimar says "Olimar!". Same sound clip as when switching to Olimar in Pikmin 2. The sound of a Pikmin being thrown plays. Only the Pikmin's sound, not the "whop" sound effect. Olimar whistles. The sound from Pikmin is heard. The Pikmin flinch and pose as if they were whistled, all wearing flowers. The sound comes from Pikmin. Nothing to note. The Pikmin lie down and pose like they do sometimes when idling in the Pikmin games. The sound Olimar makes when yawning while idling in Pikmin 2 plays. Nothing to note. Olimar makes a sound for when he's idling in Pikmin 2. The Pikmin make a sound from Pikmin 2. Nothing to note. They grab the pole like they would a climbing stick. Slight remix of the Koppai motif. Plays the first four notes of the leader is down jingle from Pikmin 2. Plays the sound for when a Pikmin dies and a spirit appears in Pikmin. In addition, there are also some minor Pikmin 3 audio references. By touching the "K" in the title screen's "MAKER", an effect imitating an old movie is applied, and pressing the letter again will play a sci-fi "click" sound and remove the effect. The sound is the same sound that plays when a player touches the Go Here! button while it is grayed out. When the rocket button is held down when editing a course, a small animation is played that represents the stage being cleared, and is accompanied by a random sound. One of the possible sounds is a whimsical rocket whir, very similar to the sound the S.S. Drake makes when the cosmic-drive key is engaged. The flowers that decorate some floors, especially those in the Wooded Kingdom, bear a striking resemblance to Chaenostoma cordatum, the Pikmin flower. Besides looking similar, they also trail in a similar way to the real-world plant. The flowers that make up the flower roads in the Wooded Kingdom also look like Chaenostoma cordatum, but the leafs and trail are not as similar. Pikmin hidden on the flower beds in Mario Golf: Toadstool Tour. Chaenostoma cordatum in the Wooded Kingdom in Super Mario Odyssey. The Olimar racing suit in Mario Kart 8. The Pikmin trophy in Super Smash Bros. Melee. Of Super Smash Bros. Melee's nearly 300 trophies, two are based on Pikmin. One features a group of standing red, blue and yellow Pikmin, while the other is a trophy of Captain Olimar that can only be obtained if there is a Pikmin save on the memory card. Interestingly, Melee came out before Pikmin did. Main article: Super Smash Bros. Brawl. Super Smash Bros. Brawl is the third installment in Nintendo's cross-series 3D fighting game. Captain Olimar debuts as a playable character (referred to as Pikmin & Olimar) and his home stage is Distant Planet, a stage based on PNF-404, particularly Awakening Wood. There are 21 trophies and 16 stickers from the Pikmin series in this game. Main article: Super Smash Bros. for Nintendo 3DS and Wii U.
Olimar returns as a playable character in the fourth entry of the Super Smash Bros. franchise. Alph also appears as four of his alternate skins. In the 3DS version, Distant Planet returns as a stage; in the Wii U version, the Garden of Hope appears as a new stage instead. Main article: Super Smash Bros. Ultimate. Olimar returns as a playable character, with Alph as four of his alternative skins. Both the Distant Planet and the Garden of Hope stages are available. Many characters from the Pikmin series are in Ultimate as spirits. A full list of them can be seen here. The Empress Bulblax makes a cameo appearance in the game WarioWare: Smooth Moves, wherein the player must tilt the Wii Remote to roll the beast from side to side in an endeavor to squash Pikmin. This mini-game is called "Pikmin 2", and the music is the theme played on the demo screens in Pikmin. The same music is also used as the "Louie's Dark Secret" theme in Pikmin 2. Pikmin is a microgame in WarioWare: D.I.Y., made by 9-Volt. A target goes across the screen and the player must tap the touchscreen when it reaches the nectar, thus throwing the Pikmin towards it. If the player misses, the Pikmin will fall into the water, its spirit will come out, and the game will end in in a loss. If the Pikmin reaches the nectar, it will flower and the player will win. 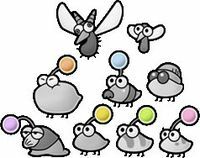 The same Pikmin microgame that appears in WarioWare: Smooth Moves, titled "Pikmin 2", re-appears in WarioWare Gold, which is a compilation of past microgames. The microgame is mostly the same, but the Pikmin are larger and more animated, and there are few of them. This is likely so that the Pikmin are more visible on the Nintendo 3DS's screen. In addition, in one game mode, Wario can made crude drawings of amiibo characters. The Captain Olimar amiibo and the Pikmin amiibo are compatible for this mode. Olimar's drawing shows him posing like in the amiibo, as well as the Red Pikmin and Blue Pikmin with him. The Pikmin amiibo results in a drawing without the terrain pieces, and just the Pikmin all at the same level, although the Rock Pikmin is missing. The "Pikmin 2" microgame in WarioWare: Smooth Moves. The "Pikmin" microgame in WarioWare: D.I.Y.. In Ace Combat: Assault Horizon Legacy +, the Olimar amiibo unlocks a Pikmin and Olimar-themed aircraft for players to use in the game. In Chibi-Robo! Zip Lash, a "Pikmin" Figure is unlocked by scanning the Olimar amiibo in the Chibi-Capsule machine. In Kirby: Planet Robobot, the Olimar amiibo gives Kirby the leaf ability, representing the plant theme of the Pikmin series. A Red Bulborb toy is found in all versions of Nintendogs on a shelf in the second-hand shop. It is only part of the pre-rendered background shots and can not be obtained as an actual item for the dogs to interact with. Pikmin content appears as badges in Nintendo Badge Arcade. A small variety of images exist, including Captain Olimar, an Onion, and Pikmin. The house activity for the Nintendo Labo contains a few Pikmin references. The symbol for the Pikmin series, as seen in the Super Smash Bros. games, can show up as a pattern in the wrapper of a piece of candy, or in the base of a cupcake. A strawberry can also be obtained, and its model and textures look remarkably similar to the ones used for the Sunseed Berry in Pikmin 3. Nintendo Land includes a "Pikmin Adventure" mini-game, in which players play cooperatively as Miis dressed as Olimar or Pikmin to defeat a number of enemies over multiple levels. In Yoshi's Woolly World and Poochy & Yoshi's Woolly World, the Olimar amiibo unlocks an Olimar-styled Yoshi. The Yoshi is stylized to look like Olimar, and the spikes on the back of its head have the same color as the first three Pikmin. The Olimar aircraft in Ace Combat: Assault Horizon Legacy +. The "Pikmin" Figure in Chibi-Robo! Ziplash. A piece of candy with a Pikmin series icon in the wrapper, in the Nintendo Labo house activity. A cupcake with a Pikmin series icon in the base, in the Nintendo Labo house activity. The strawberry in the Nintendo Labo house activity. The Olimar Yoshi skin in Yoshi's Woolly World. In the Nintendo 3DS built-in app AR Games, a Red, Yellow, and Blue Pikmin appear on an AR card. When one transfers their downloadable content from a Nintendo DSi to a Nintendo 3DS, or from a Wii to a Wii U, various types of Pikmin are seen "carrying" the data over. In the Wii U one, first they carry the content across the land and onto an odd ship. Sometimes, a Pikmin will not make it onto the ship, so the ship has to reopen. Then it travels from the metaphorical Wii planet to the metaphorical Wii U planet, that looks like the sun. They then continue to carry their data to the memory core of the Wii U. 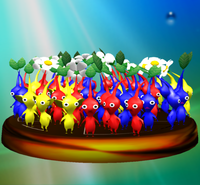 None of the Pikmin types are from Pikmin 3, and there are no leaders to be seen. In the Nintendo 3DS Mii Plaza minigame Find Mii, one of the obtainable items for the player's Mii is the Pikmin Hat. 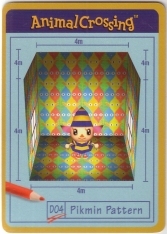 This is similar to the Pikmin Hat in the Animal Crossing series, as mentioned above. In another minigame named Puzzle Swap, there are Pikmin-themed puzzles. The first one features one of each of the three original types surrounded by Seeding Dandelions, and it is a 15-piece puzzle that does not require Streetpass exclusive-puzzle pieces. The other ones are based off of scenes from the Pikmin Short Movies. The Pikmin AR Card in AR Games. The Peckish Aristocrab look-alike in The Fury. The Amazing World of Gumball is a cartoon series that occasionally references video game content. In the episode The Fury, in a retelling scene for a fighting tournament, a creature with a very strong resemblance to a Peckish Aristocrab can be seen. Mad is a TV series by Warner Bros. with short animated parodies of pop culture. Pikmin is the subject of one skit, titled Pikmin Pest B Gone. It spoofs the typical TV infomercials, and in it, a farmer is distressed about his crops being constantly attacked. The narrator suggests the use of a product called "Pikmin Pest B Gone", which is essentially Captain Olimar on the S.S. Dolphin and a group of Pikmin along with an Onion. The narrator explains how the shipment may take 3 to 5 light-years to arrive, referencing the distance between Hocotate and Earth, and how the Pikmin can attack crop pests and grow in number after bringing back their bodies. The rate at which the Pikmin grow leaves the farmer worried about a new infestation – the Pikmin themselves. The narrator announces that there's a side-product called "Pikmin Pikmin B Gone", which is basically Olimar releasing Red Bulborbs from the S.S. Dolphin to bring down the Pikmin population. Now that the farmer is faced with an infestation of Bulborbs, the narrator suggests using "Pikmin B Gone B Gone". This product takes on the form of a blue S.S. Dolphin, but before he can explain what this is, the farmer decides it is best to just get rid of Olimar instead. He then grabs the Hocotatian and kicks him away. A scene showing the game covers. Steven Universe is a cartoon series that often references video games and anime. In the season 4 short Steven Reacts, a number of game cases can be seen in the background behind Steven. The design of their covers, the logo on them, and the large "GAME" text printed on is similar to GameCube cases. One of games is titled "Pikemen 2", a clear reference to Pikmin 2. Pikmin are featured on the sides of the box packaging for Nintendo Monopoly. B. & O. Railroad has been replaced with a red "Pikmin Onion". The S.S. Dolphin is also featured as a game piece. The Storytime issue of the Boom! Studios Steven Universe comic. 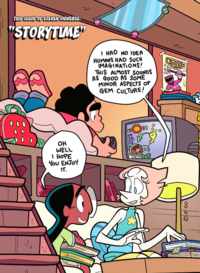 The main page for the Storytime issue of the Steven Universe comic made by BOOM! Studios shows Steven playing a console game that resembles a Pikmin game. On the TV screen, there is a dark-skinned man in a spacesuit throwing a creature that looks like a Yellow Pikmin, except it has a pointy nose like a Red Pikmin. At the top of the screen, there is also some HUD element with bars and a sun icon, most likely the Sun Meter. Sprite sheet of Captain Olimar and some Pikmin as they would appear in Mario & Luigi: Superstar Saga. This article or section is a short summary on Olimar's unused cameo at Starbeans Café. The Cutting Room Floor features more in-depth content. Mario & Luigi: Superstar Saga has unused sprites and conversation strings for a few Nintendo characters who were initially meant to appear in the café as cameos. The sprites contain Captain Olimar and a group consisting of the three basic Pikmin types. In the unused dialog, Olimar would speak to himself about the smell of the new coffee Mario (who he would call "Marlio", an anagram of "Olimar") holds, and attempt to attack Luigi, after seeing him as an enemy. Olimar was then meant to give Mario and Luigi the UV Lamp as a gift, but in the final game, this present was turned into the Cobalt Necktie. 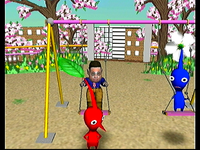 A Red and Blue Pikmin at a swingset in Stage Debut. The Pikmin and Captain Olimar were planned to have a significant role in the unreleased GameCube title, Stage Debut. During Super Mario Galaxy 2's development, Donkey Kong and Pikmin cameos were proposed but they were turned down by Shigeru Miyamoto. He explained that there has to be a functional reason to include characters of a certain type in a game and that the overall design of the Pikmin, being thin and tall, don't fit in the Mario universe where enemies are short and easy to stomp on. The following is a list of spotted potential references to the Pikmin series, but whose veracity is debatable. For most of these cases, only a few characteristics of the referenced material matches the Pikmin world equivalent – not enough to completely assume that there is a full reference. The Binding of Issac: Wrath of the Lamb features a boss and a boss re-skin known as "Daddy Long Legs" and "Triachnid", respectively. Both bosses act extremely similar to the Beady Long Legs, where it attacks by smashing with its feet and its head must be attacked. Both of their death animations are also very similar. The series is known to reference many Nintendo franchises. Moe playing the game Orima Brothers in the manga Densetsu no Starfy R.
The manga based on the The Legendary Starfy series (specifically, it is loosely based on Densetsu no Starfy 4) features a possible reference to Captain Olimar in chapter seven, Tenkai-koku, Game-Ou Ketteisen. 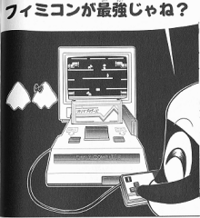 At the end of the chapter, Starfy's best friend Moe is playing a game for the Famicom. According to the cartridge it is known as "Orima Brothers" (オリマブラザーズ? ), based on the game Mario Bros.. However, this may have only been a play on "Mario" in reverse, rather than Captain Olimar. Additionally, Captain Olimar's Japanese name (オリマー?) is spelled differently, in that it has a long vowel mark elongating the "ma". Puffstool's figurine in The Minish Cap. There is an enemy in The Legend of Zelda: The Minish Cap called the Puffstool. It is physically very similar to the Puffstool from Pikmin, having a red cap, yellow body, two legs, and even being a similar size due to being Minish-sized. However, the two have different names in Japanese, making the reference likely unintended by the original developers. 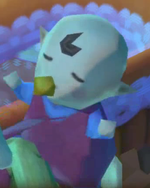 Bertie and Luv's baby in Skyward Sword. In The Legend of Zelda: Skyward Sword, when an insect is killed, the ghost that floats up is similar to a Pikmin's spirit. In addition, Bertie and Luv's daughter bears a resemblance to Captain Olimar. The three Pikmin-like statues in Wind Waker. In The Legend of Zelda: The Wind Waker the three goddess statues resemble Red, Yellow, and Blue Pikmin. The statues all have a pole sticking out of their head (resembling a stem) and the Din statue has a nose, the Farore statue has ears, and the Nayru statue has a crack where the mouth should be. Punis are creatures in Paper Mario: The Thousand-Year Door. They follow Mario around, a bit like the Pikmin follow a leader. He can have up to 101 of them, and although the Pikmin games also have a limit of Pikmin in the hundreds, it is not 101, but rather 100 Pikmin. Some platforms need a number of Punis on top of them to press down, which can be compared to the paper bags in Pikmin 2. Some Punis also have spheres on top of stems on their heads, that are reminiscent of both a Pikmin's stem, and the antenna and light on leader heads. 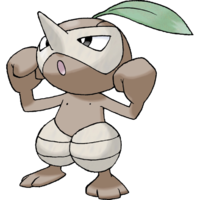 The third generation of Pokémon introduced a grass/dark-type Pokémon named Nuzleaf. It has similar characteristics to Red Pikmin, having a pointed nose and a leaf on its head, and its "shiny" form has a red face and "trousers". Its highest stat is attack, and its ability, Chlorophyll, boosts a Pokémon's speed while it is sunny in battle, similar to how Pikmin grow flowers that boost speed after being buried for some time. 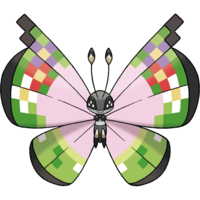 The sixth generation of Pokémon introduced a bug/flying-type Pokémon named Vivillon, that has several wing patterns, and the Fancy Pattern which was distributed via the Nintendo Network from July 8th to July 31st, 2014, has each wing contain three different colored flowers; a white, a red, and a lavender flower. This is a possible reference to the Pikmin's flower colors from all three games: white flowers for Red, Yellow and Blue Pikmin, magenta for Purple and White Pikmin, and lavender for Rock and Winged Pikmin. A supposed representation of the ship in Super Mario Galaxy. 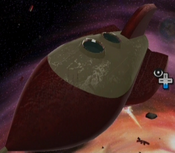 In Super Mario Galaxy's Space Junk Galaxy, there is a ship that bears great resemblance to the Hocotate ship in Pikmin 2. It serves no purpose other than as a planetoid, and hence, part of the level. It is not a precise recreation, and there has been debate over whether it is indeed modeled on the ship or whether any similarities are coincidence. The main features that allow a connection to be drawn are the colors, three fins and two bubble-shaped cockpit windows. In the minigame "Puzzle Squash", there are blocks of different colors that appear to mirror the colors of the Pikmin in the first two games. In the Beginner difficulty, the blocks appear in red, yellow, and blue. In the Advanced difficulty, they appear in red, yellow, blue, purple, and white. A baby visually similar to Olimar in Yoshi's Island DS. In Yoshi's Island DS, one of the babies kidnapped by Kamek has a face very similar to Olimar's. A group of "zombie carrot"s from Ziggurat. The game Ziggurat has an enemy called "zombie carrot". It attacks in large groups, similar to how Pikmin attack in groups, and are carrot-shaped. In season 5, episode 6 of the television show "The Grim Adventures of Billy and Mandy", the episode "Herbicidal Maniac" features one character, General Skarr, becoming a Pikmin-like creature. Billy himself looks visually similar to Olimar. General Skarr from "Herbicidal Maniac". Hotel Transylvania 3: Monsters Overboard: the game's gameplay is extremely similar to the Pikmin series, in that the player can throw creatures, whistle them, use pellet-like objects to make more, etc. This page was last edited on March 31, 2019, at 11:58.